The artPARK design process was supported by Dean’s Jewelry and a National Endowment for the Arts OUR TOWN grant awarded to the Pomerene Center for the Arts in partnership with Coshocton City. Through OUR TOWN, the NEA supports creative placemaking projects that help transform communities into lively, beautiful, and sustainable places with the arts at their core. DESIGN TEAM MEMBERS led by Atlanta, Georgia Designer Tim Frank and Pomerene Center for the Arts Artistic Director and Community Studio Artist Anne Cornell. Let the building begin! Thanks to Scott Butler and Robert & Carolyn Simpson for helping us buy the lot and a $200K Capital Arts Appropriation from the State of Ohio to be matched by $170K of non-state funds. "Keeping life interesting in Coshocton County through creativity and arts innovation." The Park Hotel burned to the ground in July’05. In April ’09 the Pomerene Center signed a temporary lease to facilitate community discussion, planning and development of a multi-use public space. 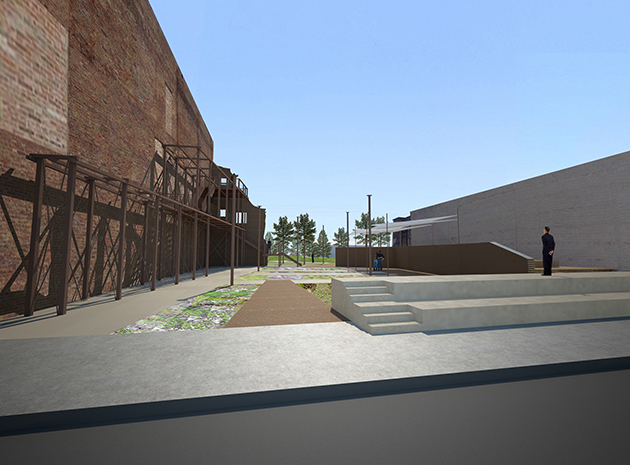 January 2014 the Pomerene purchased the lot for development as a permanent artPARK. The following July we received a State Capital Arts Appropriation for the development of the park. 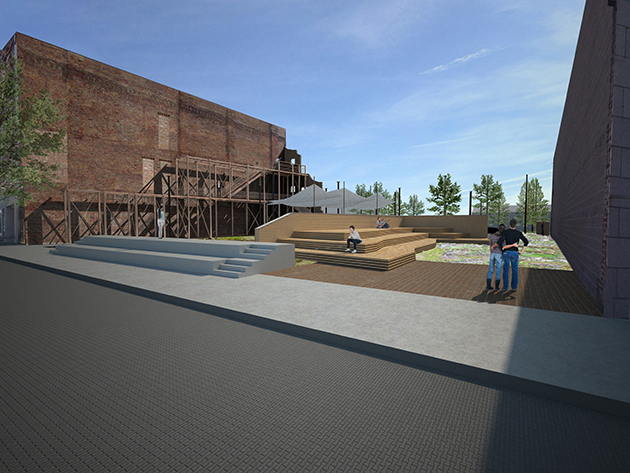 The artPARK design process was supported in part by a National Endowment for the Arts OUR TOWN grant awarded to the Pomerene Center for the Arts in partnership with Coshocton City. Through OUR TOWN, the NEA supports creative placemaking projects that help transform communities into lively, beautiful, and sustainable places with the arts at their core.